“So GREAT meeting you. You're a FABULOUS instructor. Always wanted to tango but don't like a crowd around you? If you prefer learning at your own pace, with your own partner, or need a more flexible schedule, this is for you! In my private lessons, you (or you and your partner) get my undivided attention. 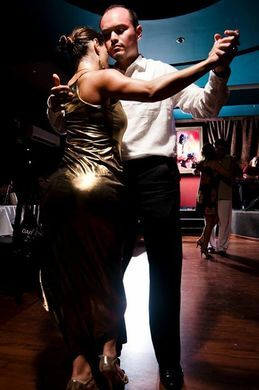 I'll teach you how to "walk" (which in Argentine tango is equivalent to dance), get you acquainted with the basic vocabulary, and start developing the elements of technique and the embrace; all in a fun, friendly, and relaxed environment. ​Argentine tango is my passion, and I'm VERY happy to share it with you!